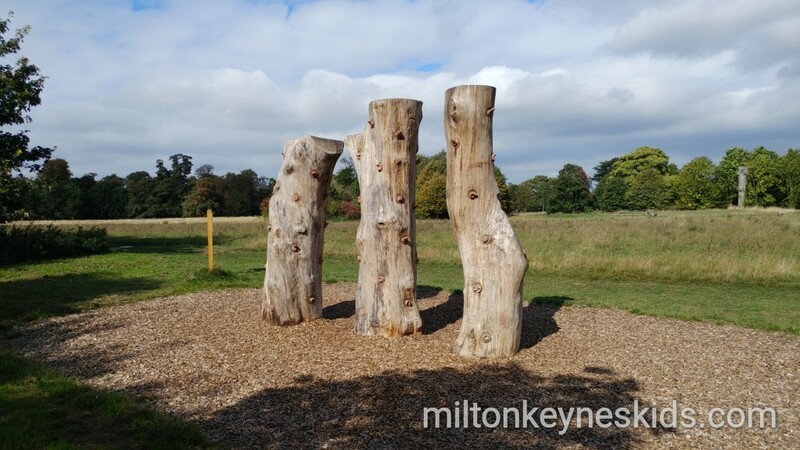 It’s not very often we make a big new discovery so close to home, so I was really excited to get a tip off from a work friend about Houghton Hall Park in Bedfordshire – a completely free few hours out. Watch my video below and then scroll down for more information. Where is Houghton Hall Park? 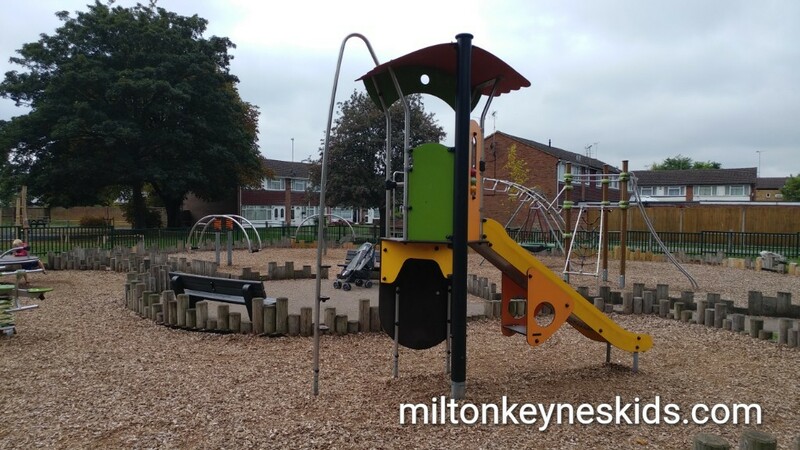 Houghton Hall Park is located in Houghton Regis, Bedfordshire – about 25 minutes from where we live in Milton Keynes. The visitor centre is located at the Park Road North entrance to the park. 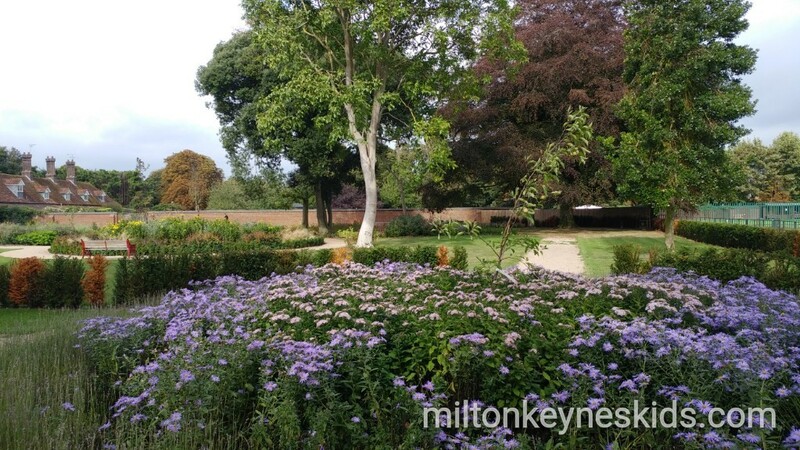 If you’re using a Sat Nav they say to search ‘Park Road North’, and from there you can follow the brown tourism road signs to Houghton Hall Park, there is a purple sign on Park Road North which is outside the entrance to the visitor centre car park. 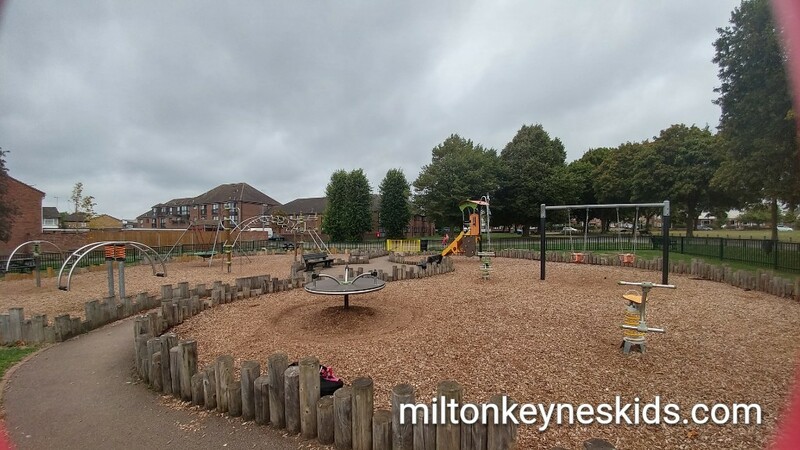 I didn’t read the website before we left so I just googled it which brought up the postcode LU5 5FU – that took us to the opposite side of Houghton Hall Park – near the village green play area which is where I parked instead. For the latest opening times and any changes please to look at their website before travelling. What’s at Houghton Hall Park? 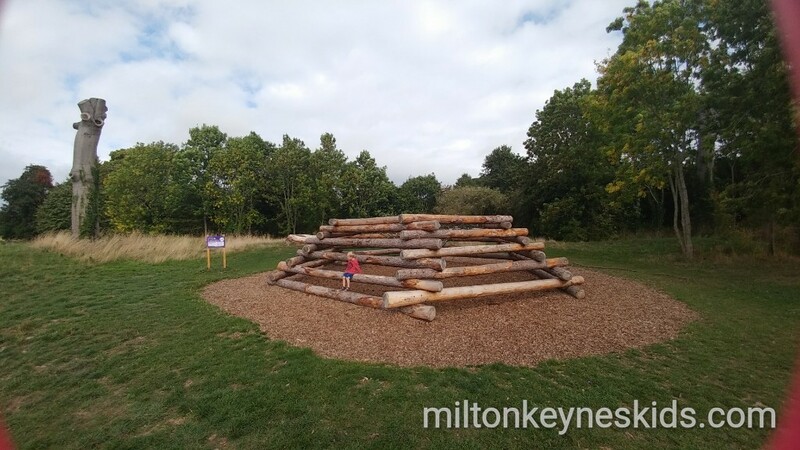 There’s some cool wooden play equipment including some stacked logs, swinging wooden log that goes side to side, climbing poles and a climbing frame with a slide. I took my 3 year old. 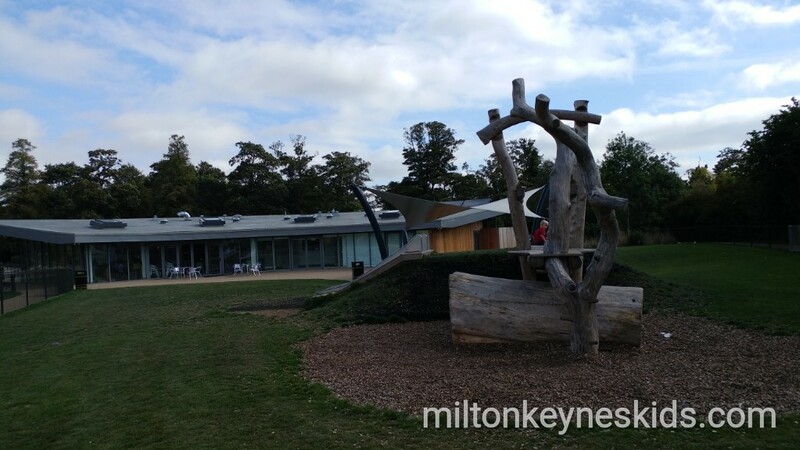 He most enjoyed the climbing frame with slide outside the visitor centre, as well as the swinging log. He was a bit small for the other two things which my 5 year old would probably enjoy more. 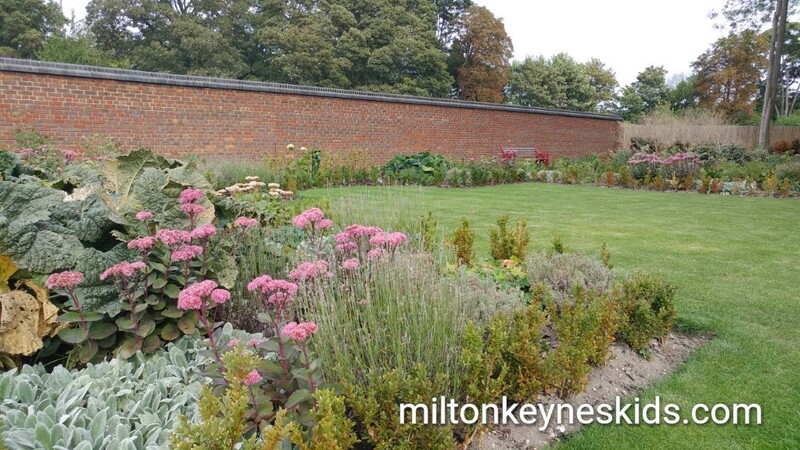 There’s also a beautiful garden and kitchen garden. 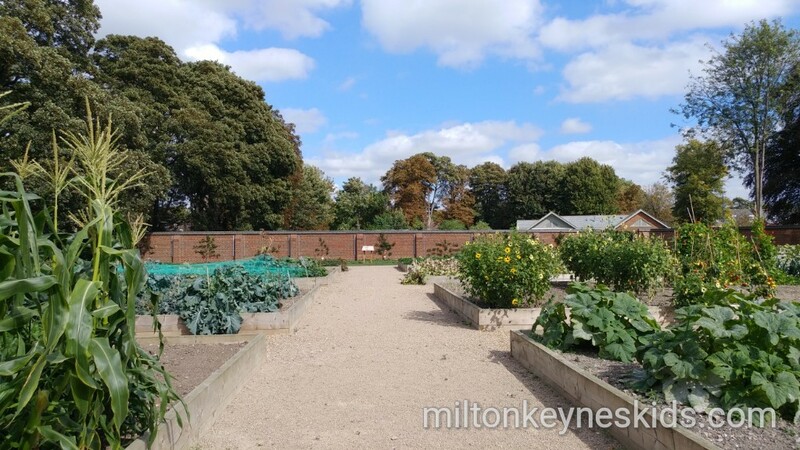 When we first walked past the kitchen garden the gates were shut, but the gardener handed my son some green beans to take home. Then on the way back the gates were open so we were able to walk around and he was given some carrots. We were there a couple of hours walking around and stopping for a picnic. How accessible is Houghton Hall Park? It’s very accessible in the main so absolutely fine for buggies and wheelchairs. There is a woodland area which could get muddy in bad weather, but apart from that it’s fine. The route takes you around in a circuit. There’s a modern cafe, although only two picnic benches outside. It was ok when we visited as it was really quiet but I do wonder if it’ll get busier in the summer months. 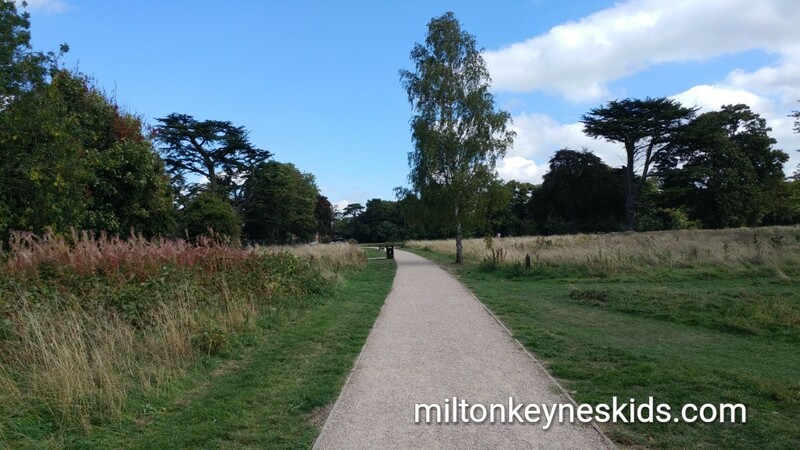 What was our overall impression of Houghton Hall Park? We had a really lovely time. It’s not too big and so it’s a good length walk for young children. 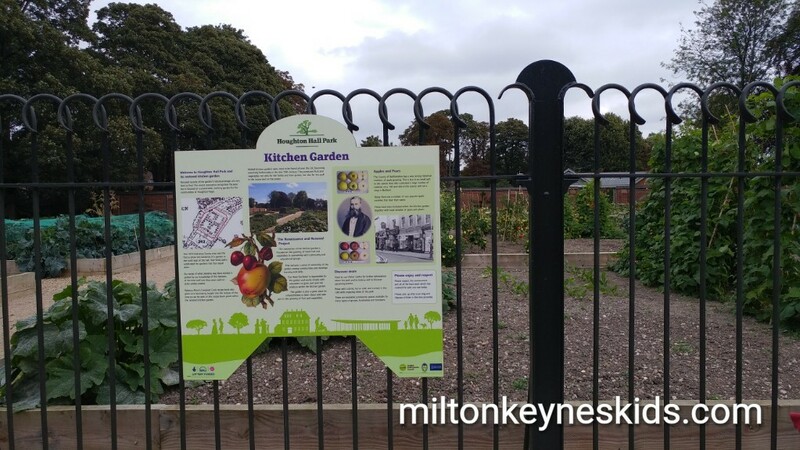 The kitchen garden was fabulous and a great way of utilising a community space – apparently there’s going to more going on for kids there in the future. 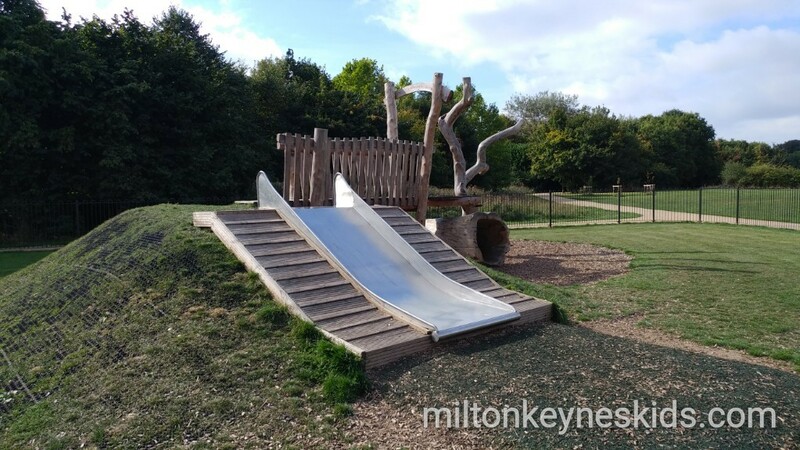 It’s not really a country park as such like Rushmere or Emberton – so don’t go expecting lots of big play equipment or features. But it’s a good alternative if you don’t want to travel far and fancy trying somewhere different. They could definitely put in more play equipment, sculptures or a trail if they wanted to further appeal to families. What else can we do in the local area to make more of our visit? 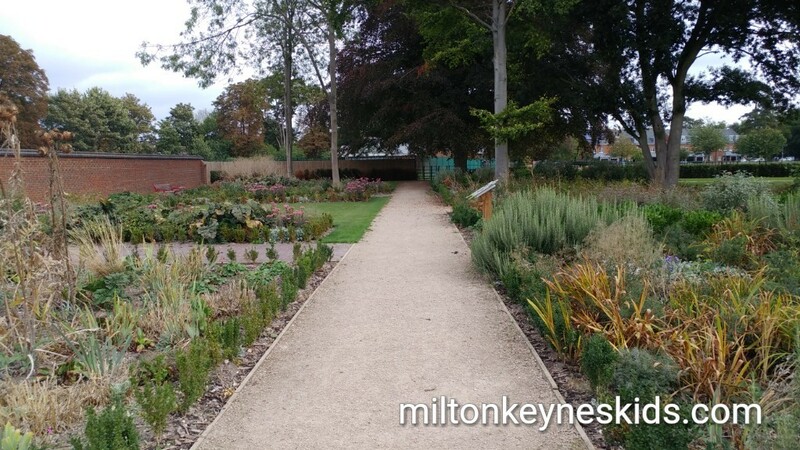 There’s the village green park which is directly outside the kitchen garden entrance to Houghton Hall Park. The play equipment is a bit retro and not as accessible for younger children. But older ones should find it ok. There’s also gym equipment and a basketball court. Houghton Regis is only a couple of miles from Dunstable. So Dunstable Downs is well worth a visit – £3 to park assuming you’re not a National Trust member – take a kite – it’s one of the best places to fly them.